How and what you eat can have an impact on your stress levels. Simple things from skipping meals to how much coffee you have in a day can contribute significantly to your overall wellbeing. 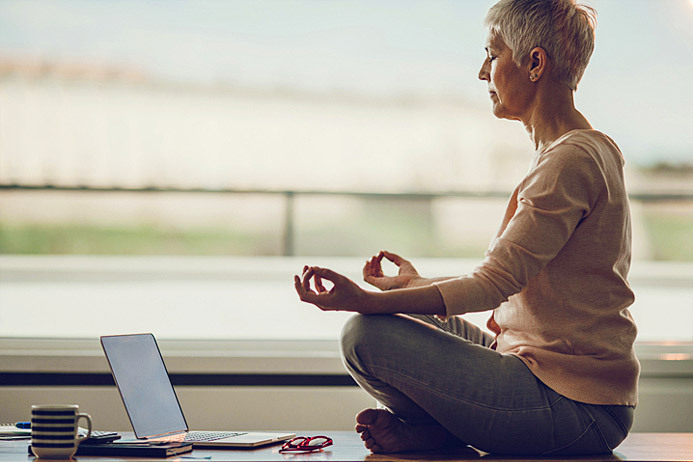 If you often find yourself stressed out or tense, consider the following eating and lifestyle tips and strategies to help better manage your daily stress levels. Prioritize Yourself – While you may not always feel it or believe it, you are the most important person in your life. Making yourself a priority isn’t a selfish thing to do but is actually a great way to reduce stress and prevent burnouts. When we get stressed, we tend to overexert ourselves and sacrifice our wellbeing. We’ll stay late at work, show up to events, and sleep less than we need. It’s essential to take some time to pull yourself together and make your needs the most important part of your life, as you can’t give to anything or anyone if you’re empty yourself. Don’t Skip Meals – Once you’ve gotten the hang of making yourself a priority, your next method of self-care is to nourish yourself properly. When we’re stressed and busy, it’s common to skip meals and put other tasks ahead of eating. Skipping meals actually puts our bodies into a stressed-out state where it slows metabolism and actually promotes the storage of fat. Regular meals that are healthy and nourishing will keep your body out of stress-mode and on track. Select Nutrient-Rich Foods – Comfort food that is full of fat and sugar can worsen your stress levels. Foods that are high in good nutrients can help our body feel good and reduce our stress response. It also helps to improve our mood, energy, and immunity. Be sure to eat many foods containing B vitamins, magnesium, vitamin C, and omega 3s. 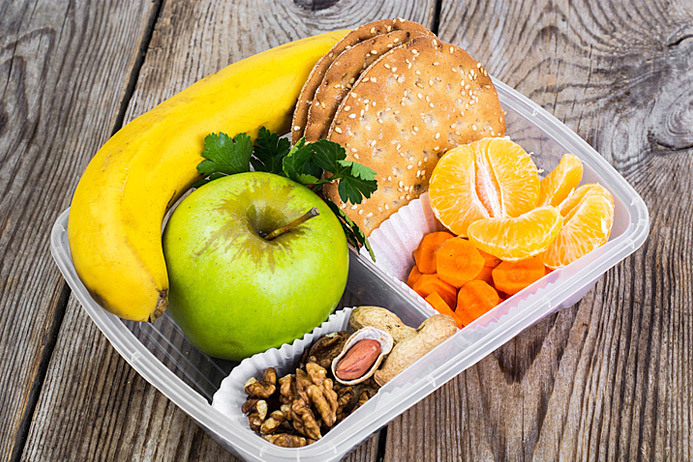 Make Healthy Snacks – The trick to being able to eat healthier while stressed or busy is to make snacks ahead of time. This way, you are able to feed yourself a nutritious snack no matter what you’re doing throughout the day. Practice Meditation – Meditation is an excellent way to reduce stress. Many powerful business people use meditation to help them alleviate stress and regain focus. It helps to focus on what’s happening in the present, slowing down your mind, and relaxing your body. Science has shown that meditation also helps to lower cortisol levels. Reduce Your Caffeine Intake – Caffeine is a stimulant and can increase your levels of stress hormones when you consume even small amounts of it. This doesn’t mean that you need to eliminate coffees and teas completely but be sure that you aren’t overdoing it, consider decaffeinated options, and listen to your body when you have caffeine to determine what levels are appropriate. Seek Help and Support as Needed – You are never in this alone. If you begin to feel like things are getting out of control, seek outside support. Whether this comes from a doctor, therapist, nutritionist, or trusted friend, asking for help isn’t a sign of weakness. It’s important that you do what you can to keep yourself going and be the best that you can. If you’re interested in learning how stress affects individuals and how changing your eating habits can alter your mood, you may be interested in becoming a holistic nutritionist. The Edison Institute of Nutrition offers a variety of online courses to guide you down the right path. For more information about our programs and how to obtain a Diploma in Holistic Nutrition, call the Edison Institute of Nutrition today at 1-888-524-7605 or contact us to speak with one of our educational advisors.